I have another interactive card to share. 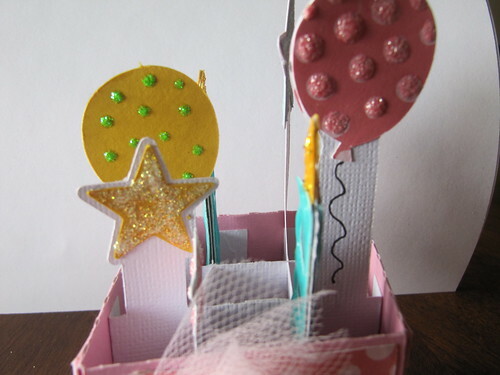 I made this sweet card in a box for my crafty friend. She loves all things pink so I layered up the pink on this one! 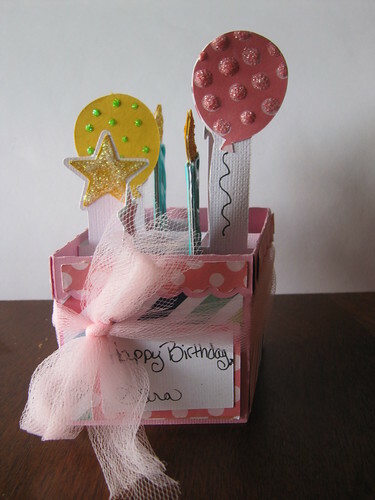 I used the 2 way box card file from Lori Whitlock Shop. I embellished all the different pop ups with some stickles and Nuvo drops. 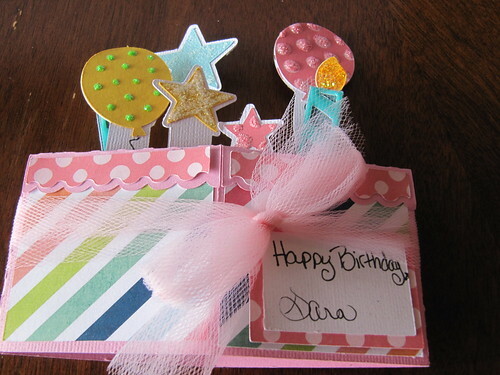 There is plenty of room in this card to add some more of your own embellishments. By the time I added all the sparkle to my elements I was afraid any more things would make it too heavy. But my next card will have some added items! This card folds down flat and fits in an envelope. 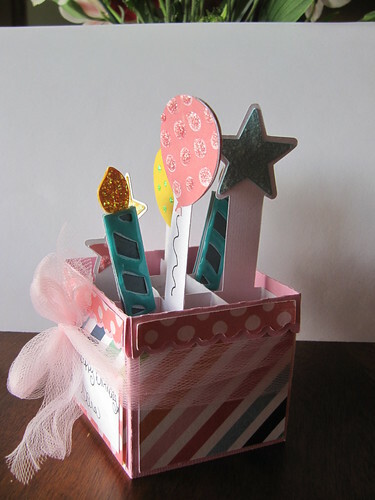 I think it is fun to have a birthday card that can sit on your desk to enjoy for a while.